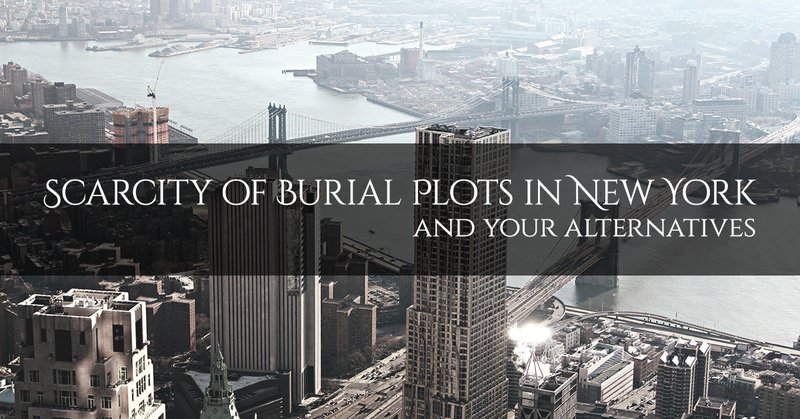 You may have never thought about the question of where do all the bodies go when all the available cemetery space is used up in a city as large as New York, but here at Harmony Funeral Home, it’s a discussion we sometimes have to have with our clients. New York’s population is now over 8 million people, and Brooklyn alone had a population of 2.6 million in 2014, a size that rivals the population of the city of Chicago, though our land area is only 44,480 acres compared to Chicago’s sprawling 149,800 acres. All of this leads to a problem: burial sites in Brooklyn are scarce, expensive, and hard to find. There are relatively few cemeteries in Brooklyn, and the ones that do exist have very few burial plots in them. Therefore, if you don’t already have a burial plot or a plan in place for what will happen to your remains, it’s very possible that your wishes might not be able to be fulfilled the way you envisioned. Here are some options from our funeral home in Brooklyn that you can consider for what to choose to happen to your remains. When you choose direct cremation, you won’t need a burial plot at all, since your ashes will fit into a small urn that your family can choose to keep in a special place at home or scatter in a place that is meaningful to you and the other family members. This is the cheapest option available to you, as you are not required to embalm the body or purchase a traditional casket. This option offers the most time flexibility for your memorial service. For instance, you can hold the memorial service two months after the person dies in order to allow everyone to get there. It allows the family members to have a nearby site where they can visit the remains of the deceased if they wish. Some faiths have objections to cremation. You can be buried in a cemetery in another location, though this means that you will probably incur additional expense. Whether you choose to buy a burial plot elsewhere in New York or farther away, Harmony Funeral Home can help to guide you in making these arrangements. We can even help you if someone needs to be buried in another country, and we have helped multiple members of the community to fulfill their last wishes to be buried in the Dominican Republic, Haiti, Jamaica, or elsewhere in the Caribbean. Can provide a permanent resting place for your remains if burial is what you prefer. The location may be far from your family members and not easy for them to visit to remember you. The cost will typically be high. If you have an elderly loved one, it would also be worthwhile to have this conversation with them to find out what their wishes are, whether they have a plan in place, and whether they know approximately how much their preferred funeral arrangement will cost. To get even more detailed information on the choices available to you, contact our funeral home in Brooklyn.